Tårup Strand Camping es un camping en Tårup, Jutlandia Meridional, situado junto al mar. Este camping en terrazas y camping con terreno inclinado tiene plazas con cercos, con sombra, sin sombra y parcelas con algo de sombra. Tårup Strand Camping se encuentra junto a una playa de arena. Cabe alquilar casas rurales. El camping dispone de parque de recreo y de terreno de deportes. En los alrededores, podrá nadar en el mar. En el Tårup Strand Camping se autoriza windsurf y esquí acuático. Este inspector visita cada año al Tårup Strand Camping y lo inspecciona considerando más de 200 servicios y otros aspectos importantes. El inspector es un trabajador de ACSI y no trabaja para el camping. The view from this campsite over the Great Belt and the 13 km long bridge was stunning. Campsite facilities were good and clean. Free wifi. Our 4th site on our motorhome tour of Denmark in June 2017. We originally intended to just use this this site as a short stopover whilst travelling from Guldager Camping on the north-west cost of Læsø to Copenhagen - but liked the site so much that we stayed an extra day. When we arrived we were quickly and efficiently booked in by Ulrich Hansen who owns the site, along with his wife, and spoke enough English to deal with the booking and various questions. We were given a choice of pitches and chose one directly overlooking the sea with a view of the ‘Great Belt’ bridge in the distance. The pitch was grass, level and had low hedges on three sides so we had a nice ‘space’. The power outlet was in one corner of the pitch so very close. The site facilities were excellent. Two toilet blocks one of which had an indoor pot-wash area (a full kitchen really with cookers as well). The showers and toilets were very good. The site reception also had a well stocked shop (possibly because the nearest decent shops are in Nyborg); in particular we recall a good selection of bread and rolls. Although there are doubtless many interesting places to visit on the island of Fyn we decided to just stay on the site for a few days, enjoying the sun and chilling. 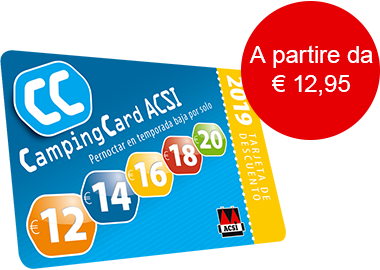 ACSI Eurocampings reenvía su solicitud de información al "Tårup Strand Camping".